Pickles is a lucky cat. 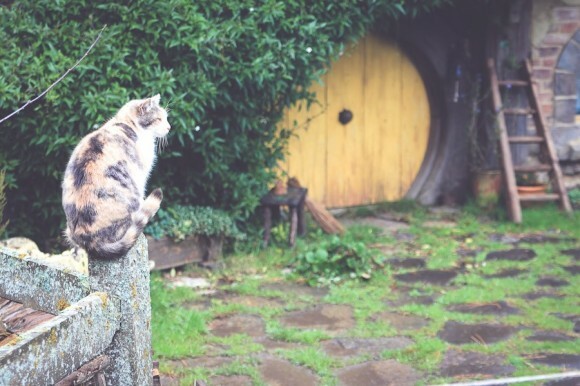 Not only was she the only survivor when someone threw her and her littermates out of a car, the person who found her worked on the set of Hobbiton. So this is where she now lives.